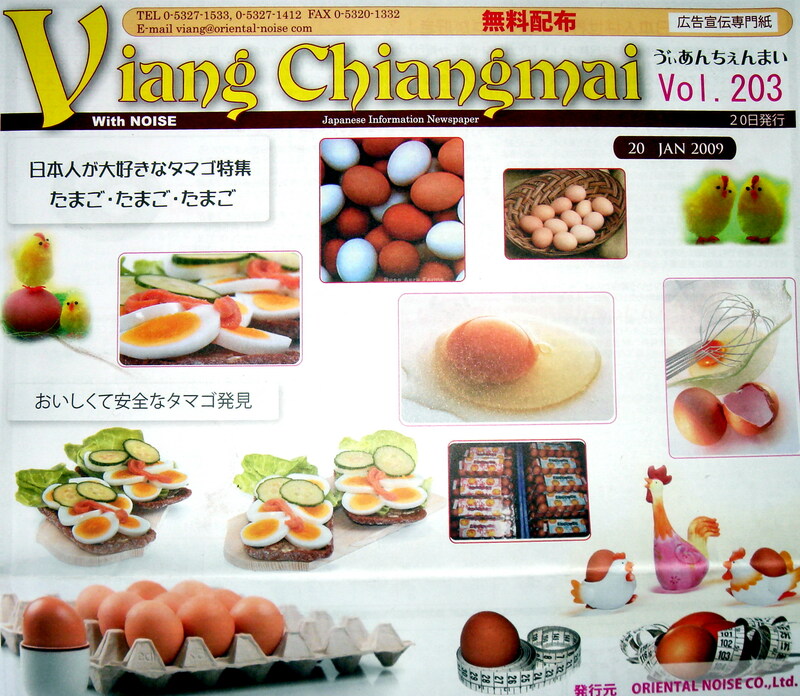 A noteworthy article about eggs appeared in the VIANG CHIANGMAI newspaper on 20th January 2009, Volume 203. For Japanese visitors and expatriates in Chiangmai, the Viang Chiangmai newspaper has long been a crucial source of information. The primarily Japanese readership has relied on the news, opinions, and insights from the newspaper to thrive in Chiangmai. 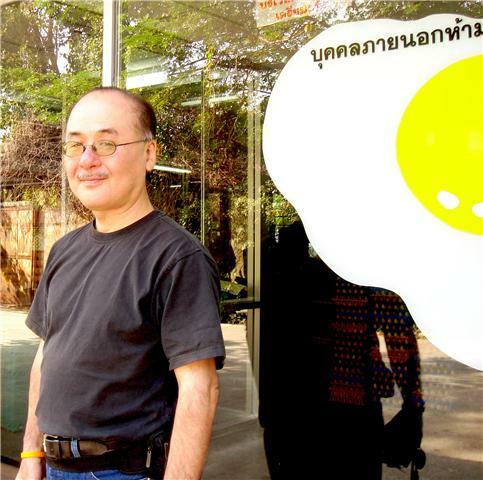 The Editor-in-Chief and owner, Khun Moritoshi Urano, has brought to the newspaper his extensive personal and business experience from decades of living locally, which is why the newspaper comprehensively serves up both the know-how as well as a sense of community for those whose life journeys have taken them from Japan to Chiangmai. Busakon Farm has the utmost respect for Khun Moritoshi Urano''s impressive contribution to Chiangmai''s Japanese community. Speaking of tips for thriving in Chiangmai, we have some recommendations of our own for our Japanese friends. Nothing brings greater comfort than a heartwarming home-cooked meal that recalls one''s culinary traditions. Imagine the delight of our Japanese friends when they discover that they can re-create, right here in Chiangmai, the simple wonders of a home-cooked Japanese dish of tamago kake gohan: a steaming bowl of rice topped with a fresh raw egg and a dash of soy sauce. Oishi…. Delicious…. A-roy… It is the sound of bliss, no matter what language it is. Needless to say, only the freshest eggs will do for this dish. That is why enthusiastic customers from the Japanese community visit our Busakon Farm store in the morning, and go home happy with our farm-fresh eggs, ready to whip up their own legendary tamago kake gohan. Others search the supermarket shelves for our products, because they deserve nothing less than our hygienically produced, top-quality eggs. 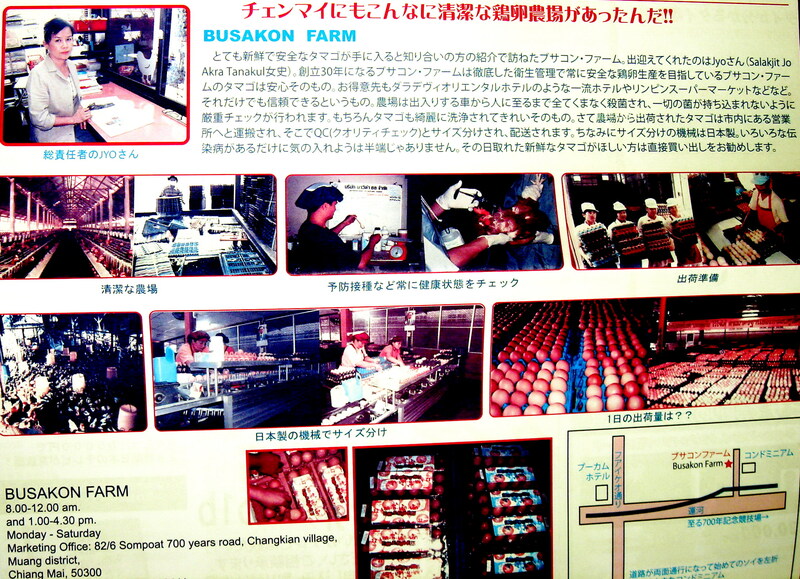 We at Busakon Farm are humbled by the trust from our discerning customers. After more than 30 years in the business, we work hard to keep our customers happy, and we will not have it any other way.